Genomic diagnostics company Veracyte announced that the Medicare coverage policy for its Percepta Bronchial Genomic Classifier has been finalized by Palmetto, a Medicare Administrative Contractor (MAC). According to Veracyte, the local coverage determination (LCD) makes Percepta—which was developed via the Medicare MolDx program—the first genomic lung cancer screening and diagnostic test to be approved for coverage by Medicare. The LCD from Palmetto for Percepta, effective March 13, is expected to be the first in a line of coverage determinations for the diagnostic test. The company says CGS Administrators (another MAC) has also issued a final LCD, while Noridian Healthcare Solutions (also a MAC) is finalizing its draft LCD. Once completed, all the LCDs are expected to provide coverage of Percepta available to 37 million of the 57 million Medicare beneficiaries nationwide. The Percepta classifier is a genomic test that is used to improve the accuracy and safety of lung cancer screening and diagnosis. Last May, Veracyte presented two separate studies at the American Thoracic Society (ATS) International Conference, showing how the test impacted the decision-making of physicians for their patients being evaluated for potentially cancerous lung nodules or lesions. Using patient cases from the two prospective, multicenter studies (AEGIS trials), they found that a “low risk” genomic test result prompted a threefold reduction (from 57% to 18%) in invasive procedure recommendations, compared to when no genomic test results were available. Currently, an estimated 250,000 patients undergo a bronchoscopy for suspected lung cancer each year, of which 40% produce inconclusive results. 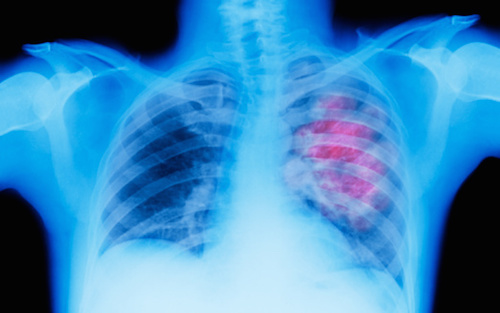 These inconclusive results often lead to risky and expensive, invasive procedures such as transthoracic needle biopsy (TTNB) and surgical lung biopsy (SLB). TTNB has a 15% to 25% risk of collapsed lung, and SLBs can cost more than $20,000. Veracyte estimates the current U.S. market opportunity for Percepta to be $425 million to $525 million and expects the market to increase in size as lung cancer screening programs expand. Approximately 50% of the current market comprises Medicare patients.